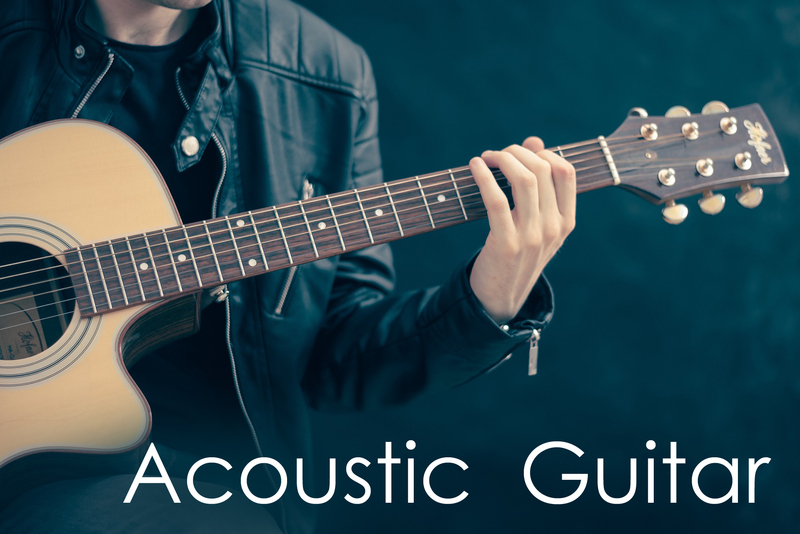 Beginner to advanced, classical or steel string acoustic lessons. From blues to country, rock or pop we have you covered! Learn to play or refine your skills/move forward with your playing. We have a enormous amount of material and dedicated teachers to keep you focused/interested. From the Beatles to Metallica, our extensive song catalogue will help you learn songs in any style/genre. Work on your basic rhythm/strumming, scales and modes, improvisation, ear training or fingerstyle techniques. We work with children, adults, amateur/professional musicians and singers/songwriters! We aim to give each student the tools to help create a well rounded and knowledgeable acoustic guitar player - whether you are a bedroom warrior or the next Tommy Immanuel! Being a beginner guitar player isn't easy - lots of bad information, un-informed teachers and struggling through the "noise" to try to make progress. End this cycle with our Beginner guitar tuition. Take structured, step-by-step lessons in a fun, relaxed environment where you'll get a grip on basic chords/strumming and jam along to some easy, popular songs. These lessons are designed for beginners - no previous knowledge/experience is needed. Our teachers are patient, experienced and will guide you through beginner guitar techniques. No more wandering aimlessly through incomplete lessons/tabs online. Sit down with a teacher that is dedicated to seeing you improve with weekly goals and motivation. Each student is also taught how to to tune, re-string and carry out general maintenance on their guitar. Contact Us to book/enquire about lessons today! Our intermediate/advanced lessons are suited to guitarists that have been playing for at least one year or more, have a basic understanding of the different chords/shapes and can play comfortably with no/minimal buzzing or muting/deadening of the strings. Your teacher will cater the lessons with an individualised syllabus for each and every student to suit your level/goals. Whether you want to work on your lead playing, technique, improvisation, ear training or music theory - level up your playing with our skill-based lessons dedicated to the topics you want to learn. Develop and perfect techniques which can be 'glossed over' without proper instruction and gain valuable feedback from industry professionals. Our singer/songwriter guitar lessons are ideal for vocalists wishing to learn/improve their accompaniment/songwriting on the guitar. From bedroom singers to gigging musicians, learn how to play to compliment your vocal range/style and confidently provide your own accompaniment. No more singing to backing tracks or having to hire another musician for your performance! Learn how to structure songs, chord patterns and songrwriting techniques to take your music to the next level - or just learn how to strum away to your favourite jam songs/covers! Guitar and vocals are the perfect combination with many singer/songwriters choosing to learn guitar over other instruments (eg. piano) due to the versatility and portability of the instrument. Give us a call or come in store and ask our friendly staff about the lesson programs we offer today.